Capital of the Czech Republic, the Bohemian city of Prague (Praha) is the geographical 'heart of Europe' and one of the most beautiful cities in the world. Established as a trading centre for amber and salt at a ford on the Vltava around five thousand years ago, the city of Prague developed out of six independent districts which were unified in the eighteenth century; Stare Mesto (Old Town), Josefov (Jewish Quarter), Nove Mesto (New Town), Mala Strana (Lesser Town), Hradcany (Prague Castle) and Vysehrad (High Castle). Once called the 'city of a hundred spires' (it now has around 500), the wealth of art, design and architecture in Prague is staggering. Gothic, Renaissance, baroque, rococo, art nouveau and cubist styles sit side by side, creating an aesthetic and cohesive unit; even the main railway station (Hlavní nádrazí) is an exquisitely decorated art-nouveau gem. Captivating visitors for centuries, such as Mozart, Beethoven, Dostoevsky, Rodin and Kokoschka, the attraction of Prague lies in its breadth and diversity. 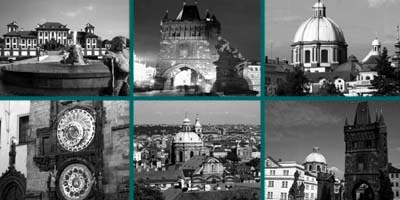 The Czech people are some of the friendliest in the world, welcoming visitors and adding to the unique atmosphere of Prague that makes the city so hard leave.